The TB41A power cooler fridge or freezer from Indel B features the latest electronic refrigeration technology. Highly efficient BD35F Secop (formerly Danfoss) compressor. 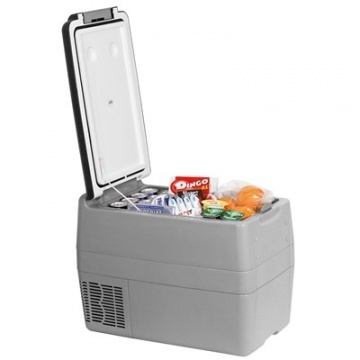 The TB41A the ideal portable cooler to be used in truck cab, off road vehicle, motorhomes and caravans, on boats & yachts or wherever powerful mobile mains or 24 / 12 Volt fridge or freezer is required. 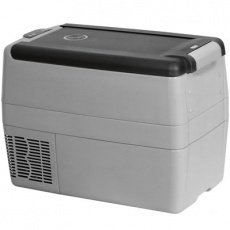 Total storage capacity of 37 litres. Height / Length / Width cm 44.5 x 58.5 x 35.